This is a Thee-Tier Square wedding cake, from our Simply Chic range of budget wedding cakes. This cake is the ‘Simply Chic Mac-Plaque’ wedding cake. 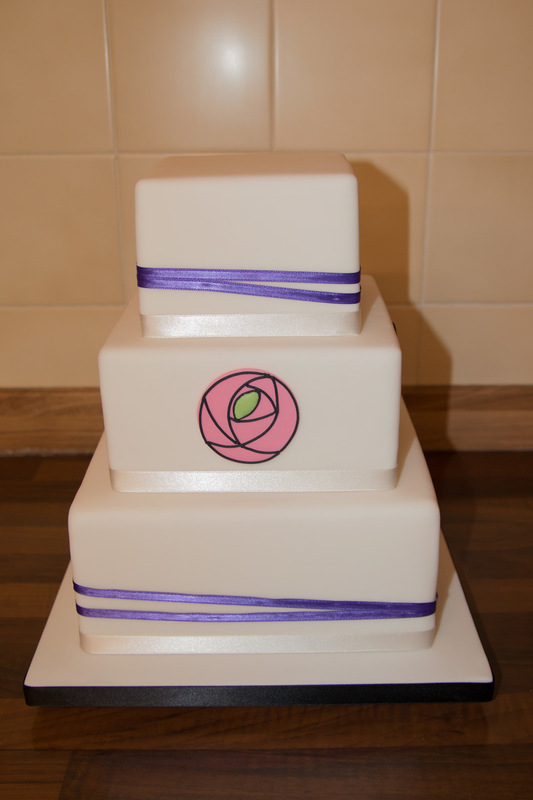 This Rennie- Mackintosh inspired wedding cake design is based on a stylised Mackintosh Rose motif, created by hand in sugar and positioned on the front face of the middle tier. We also wrap narrow ribbons around each the top and bottom tiers, to give a modern touch. We offer this design in a small range of colours, including the lilac tones as shown.